Zachary Walters – Instrument Rating! 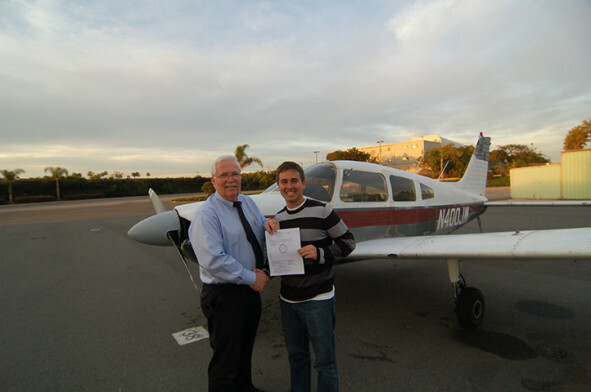 Congratulations to Zachary Walters on a successful instrument checkride with DPE Pat Carey! Anyone will tell you the instrument rating is a tough one, but well worth the effort. L-R DPE Pat Carey, Zachary Walters. We understand learning to fly is a serious commitment of time and resources, and you will have many questions on the process of becoming a pilot. If you would like to come and meet with an instructor for a no-pressure chat, please get in touch with us. We will be happy to show you our aircraft and go over all the steps for starting your training, as well as strategies to make your training as efficient and cost effective as possible.